With sunny days the number of sporting events increases, and in March they will mostly be about recreational and competitive races. There will be a lot of running in Zagreb this month. 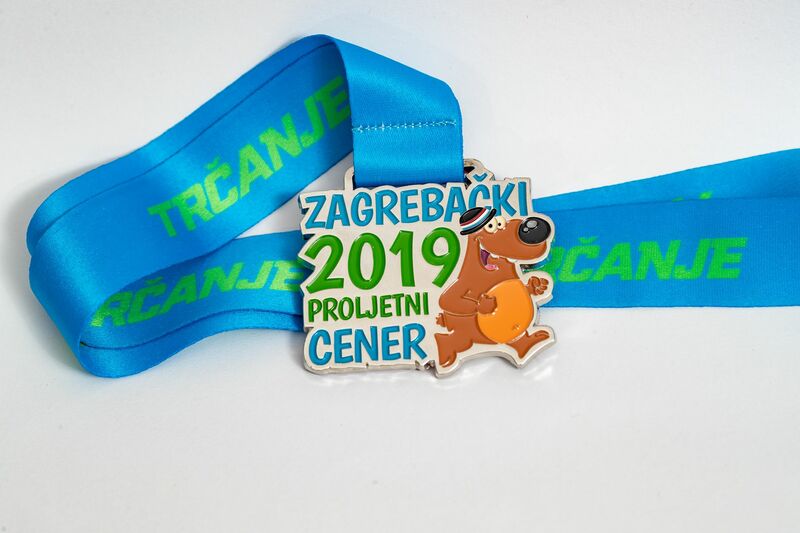 As early as 9 March the second 10K promotional charity race entitled Zagrebački proljetni cener will take place. The organiser is magazine Trčanje, and the race will take place on the Sava embankment at 11. Nearly 700 recreational athletes will take part in the race this year. They will compete in 5 and 10 kilometre races and a 10 kilometre relay for teams of two competitors. The top three in each race will receive a trophy, but all other participants will also get a suitable gift. Since this is a charity race, a part of the means collected through entry fees will be transferred to the account of the association FB Humanitarci which provides assistance to the poor and the elderly. The following weekend, on 17 March the fourth Zagreb Spring Half Marathon - Zagreb21 will take place. This is a competitive road running event with the total length of 21.098 meters. The start and the finish line are located at the same place, on the western part of Hrvatske bratske zajednice street in front of the National and University Library. In addition to a half marathon, there is also a 5k race and a relay half marathon, all of which start at the same time, at 9. Competitors of the relay races register as a four member team, regardless of gender or age, and there are four categories: men and women, classic mixed (two men and two women), mixed men (three men and one woman) and mixed women (three women and one man). The registration for Zagreb Spring Half Marathon is open until 15 March 2019. So far nearly 1600 participants from more than twenty countries registered for the race. The organiser of the Zagreb Spring Half Marathon is the company Trčanje d.o.o. (Run&Trek – the first store specialised in running) and the athletic club AK Maksimir. Within the framework of the Zagreb Half Marathon, a race of Zagreb firefighters will be held for the first time, organised by the Voluntary Fire Department DVD Prečko Zagreb. They invite all firefighters to register for the race. The race for firefighters is 5 kilometres long.